Yet another bumper haul for Mohamed Salah (£13.5m) in Gameweek 23 has only strengthened the Liverpool player's hold on the default captain for Fantasy Premier League managers. 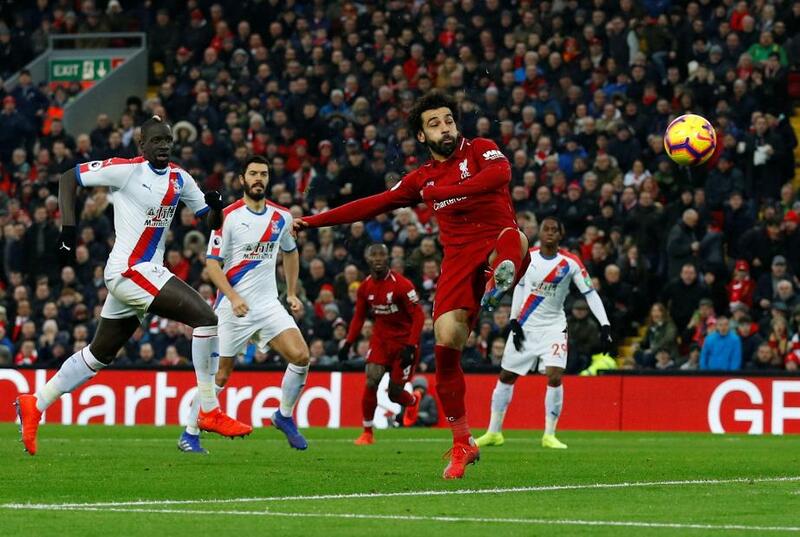 Owned by 49.7 per cent of managers, Salah recorded 15 points in the dramatic 4-3 home win over Crystal Palace. It took to seven Salah's double-figure hauls this season, with six coming in the last eight Gameweeks. That form has made the Egyptian the most-selected captain in FPL in each of the last two Gameweeks. More than 1.9million managers handed him the armband in Gameweek 23, compared with the 660,000+ of the second-top pick, Sergio Aguero (£11.3m). That margin was the second largest of the season. Only in Gameweek 7, where Aguero had a lead of 1.39million over Salah, has there been a bigger margin. This underlines Salah’s growing popularity as the go-to armband choice of Fantasy managers. The 26-year-old's remaining run of matches further strengthens his claim. Liverpool face only three of the current top-six sides in their final 15 fixtures. Notably, Salah has excelled in recent matches against teams further down the table. Indeed, his only two blanks in the eight-match run from Gameweeks 16 to 23 were against the two Manchester clubs. Salah's form and fixtures give him the platform to chase down his record-breaking 303 points from last season, solving the captaincy dilemma in almost every Gameweek.